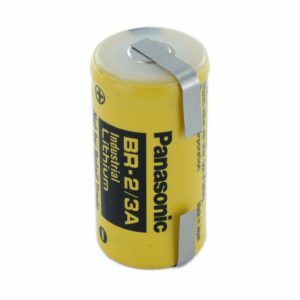 The Panasonic Lithium BR-2/3A battery is used as the back-up in instruments that have a lithium battery to back-up the buffer and real-time clock in the event of main battery failure. 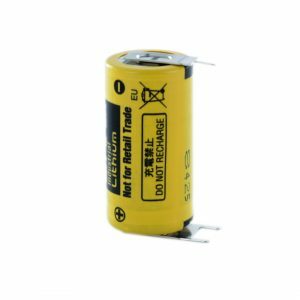 Used in GE Fanuc PLC controllers and Texas Instruments PLC controllers, Replacing the BR-2/3AE and 2587678-8008 among others. 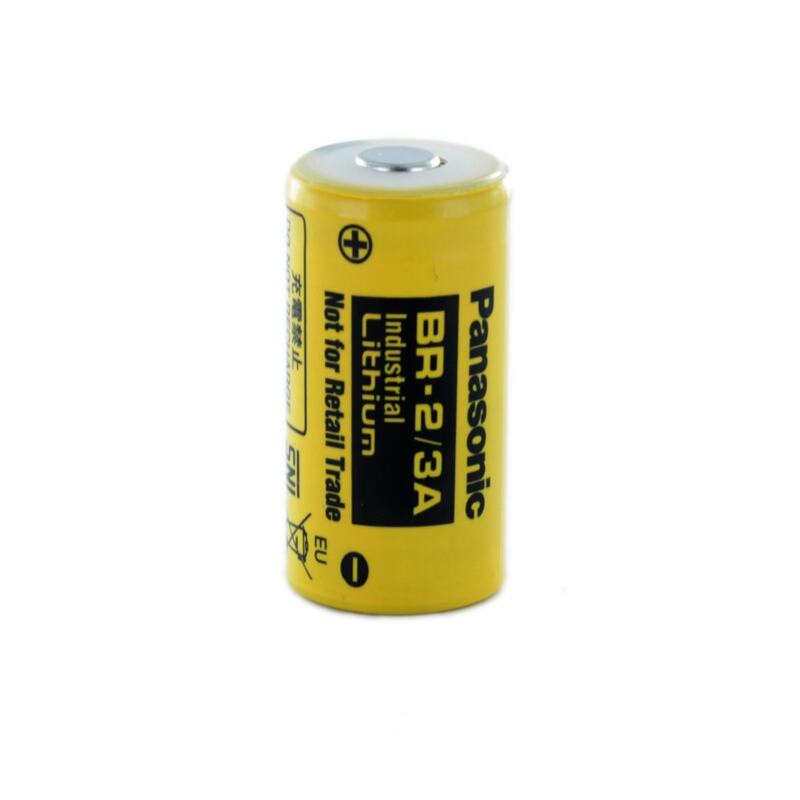 This battery is also known as the BR17335 and the CR17335. Please note this is the standard version of the cell, we also supply a tagged and polarised pinned version.